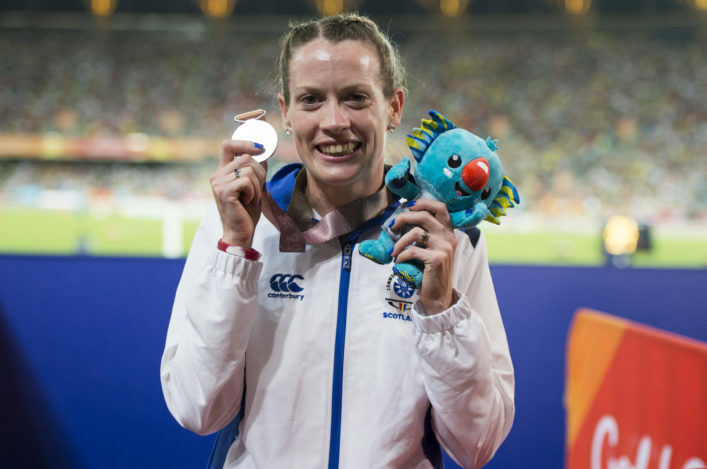 Eilidh Doyle carried Team Scotland’s flag into the Carrara Stadium – and then once again became a standard-bearer again for athletics in Scotland with her third Commonwealth Games medal in three championships. It was a silver medal hat-trick for Doyle in the 400m Women’s Hurdles as she came home in 54.80 behind Jamaican gold medallist, Janieve Russell. South African Wenda Nel took bronze. Jake Wightman finished agonisingly close to the medals with fourth in the 800m final on a day when Lynsey Sharp missed out on a final place in the Women’s event at that distance and 18-year-old Holly McArthur made a solid start to her heptathlon with PBs in high jump and shot putt. 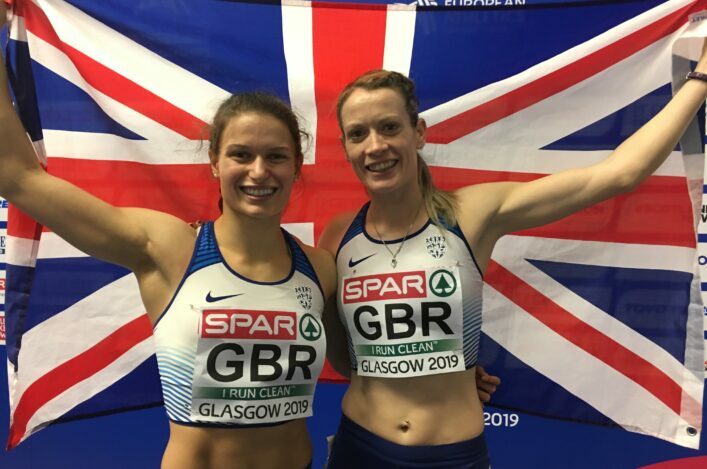 Eilidh started well and powered down the back straight but there was still work to be done in the second-half of the race – and the concentration was top-class to secure yet another big moment in a decorated career. The 54.80 time is quicker than her silver medal runs in both Delhi and Glasgow. That’s three medals now for athletics following Mark Dry‘s bronze in the hammer and silver for Maria Lyle in the T35 100m the night before Eilidh’s final. Many congratulations to Eilidh, her family and husband/coach Brian on a Commonwealth silver medal (again). 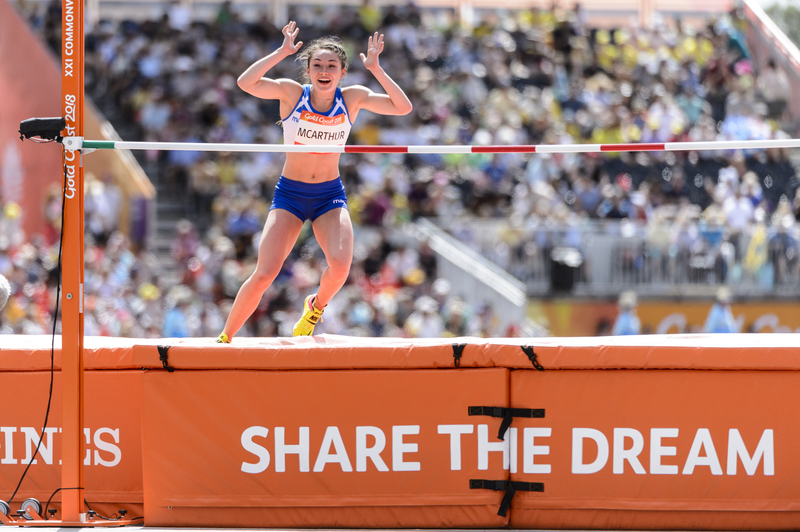 Eilidh Doyle: ‘I am thrilled to be on the podium for the third time at my third Commonwealth Games. I think it was definitely the strongest field I have faced in the Commonwealths in terms of the quality of athletes and I was a bit anxious – you want so much to do well. ‘There won’t be too much celebrating of this one at the moment, though, because we have the 4 x 400m Relay to come. We will go back to the Village, enjoy it and reflect on ‘it, and then on Friday I will turn my thoughts to coming back to this stadium. ‘The atmosphere was great and I could hear so many Scottish voices. Then I managed to get hold of the Saltire and I enjoyed that lap of honour. ‘Jamaica had three athletes in there and they are such a strong nation in the sprints that you realise the level we are at. People talk about the Commonwealths sometimes but in certain events it is really strong and that applies to quite a few on the track. ‘That’s why I am so happy to be on the podium again – and it is great to have added to the Team Scotland tally after so many medals in others sports. Now athletics is playing its part, too. Jake Wightman didn’t hide his anguish after finishing fourth in a dramatic Men’s 800m final at Gold Coast 2018. 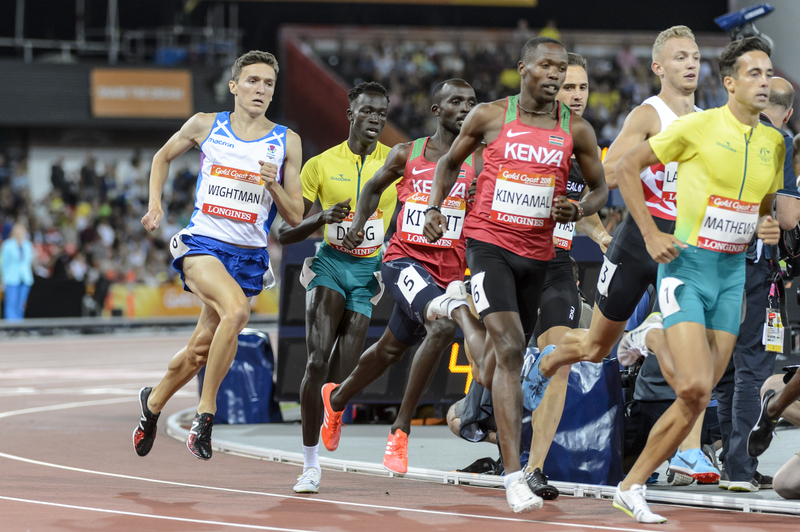 The Scot was right in the medal mix until the final few metres when Aussie Luke Mathews snatched the bronze in a race won by Wycliffe Kinyamal. Jake clocked 1.45.82 – close to a PB – with England’s Kyle Langford making a late surge to land silver. ‘Fourth place is just horrible. You go into race looking to win it and, if not, get on the podium. It would have been nice but I will just need to get my payback in the 1500m. I don’t think I did much wrong. We felt that if Nijel Amos went away it would be difficult but when he didn’t it opened the door for everyone – and I thought I could take advantage. Well done to Jake, his family and coach/dad Geoff on a strong performance – with the 1500m heats to come in 12 hours or so. Holly McArthur took her Commonwealth bow in the heptathlon and the 18-year-old has made a very solid start with PBs in two events a highlight. In the shot putt, Holly set a new PB with her second round throw of 11.58m – a good effort in her third event of day one. Holly had opened with sixth place in the 100m Hurdles with a run of 14.17. And her High Jump competition was really something to behold as she embraced the competition to clear new PBs at first 1.66 and then 1.69. With a string of first time clearances, she actually had six out of seven before missing out three times at 1.72 – from a pre-event PB of 1.64. Holly McArthur: ‘I have had a good day and I have loved it. The high jump comp was great and I’m delighted to get up to 1.69. I had been in low 1.60s for a while and felt it was an event I could push on a bit with – and that’s happened here. I also managed a PB in the shot. 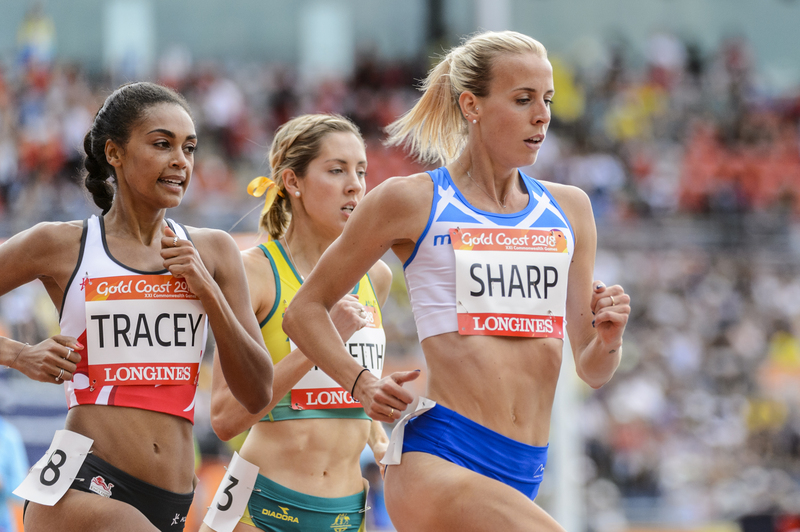 Lynsey Sharp departed the 800m at the heats stage after a fourth place finish in the third of three races. 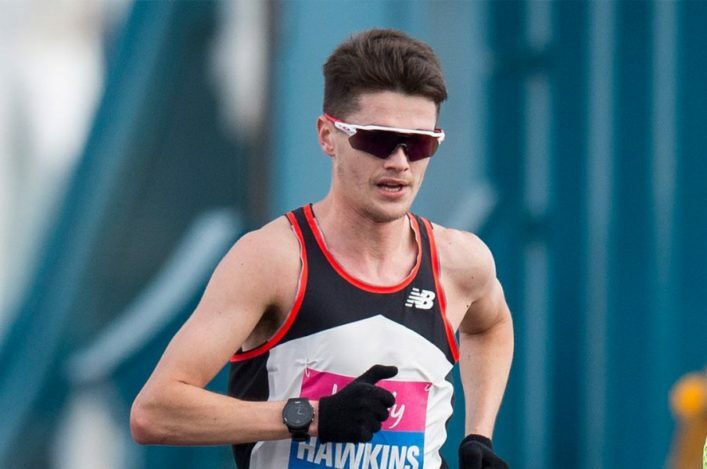 The Scottish Record holder and Glasgow 2014 silver medallist clocked 2.01.33 and that wasn’t enough with only the top two going through automatically and the athletes third and fourth in the first heat taking the additional two slots. 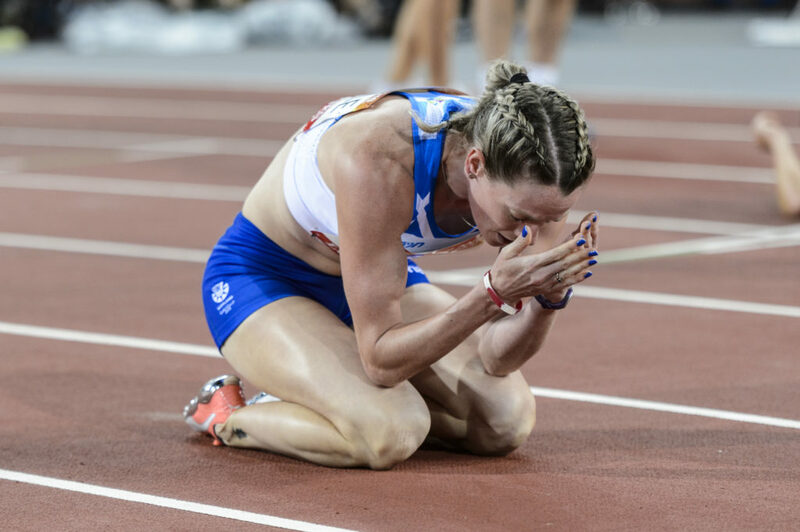 It was a performances which left Lynsey extremely disappointed but she remains part of the 4 x 400m Women’s Relay squad and may have a chance to get back on the Carrara Stadium before these Games conclude. That event has now been moved to a straight final on Saturday. Lynsey Sharp: ‘I executed my race as was my plan and it just wasn’t good enough today. Some days you just don’t have enough to get it done and this was one of those days. Competition in the 800 is fierce and I faced many great competitors today. I can’t expect to advance when not firing on all cylinders. ‘Training has been going really well but I have a few more things to work on to put it all together.